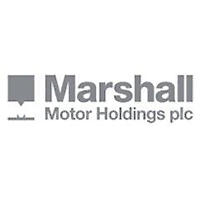 Marshall Motor Holdings (LON:MMH) CEO Daksh Gupta talks to DirectorsTalk about its latest trading statement. Daksh explains whats been the driver behind this unscheduled statement, if we have now seen the end of the supply issues resulting from WLTP and what is driving the strong used car performance. Marshall Motor Holdings Plc principal activities are the sale and repair of new and used vehicles. The Group’s businesses comprise a total of 100 franchises covering 23 brands, operating from 83 locations across 26 counties in England. In addition, the Group operates five trade parts specialists, three used car centres, five standalone body shops and one pre delivery inspection centre. In April 2018 the Group was recognised by the Great Place to Work Institute, being ranked the 21st best place to work in the UK (large company category). This was the eighth year in succession that the Group has achieved Great Place to Work status.